Recipe: pasta with garlicky bread crumbs and anchovies. | Noted. 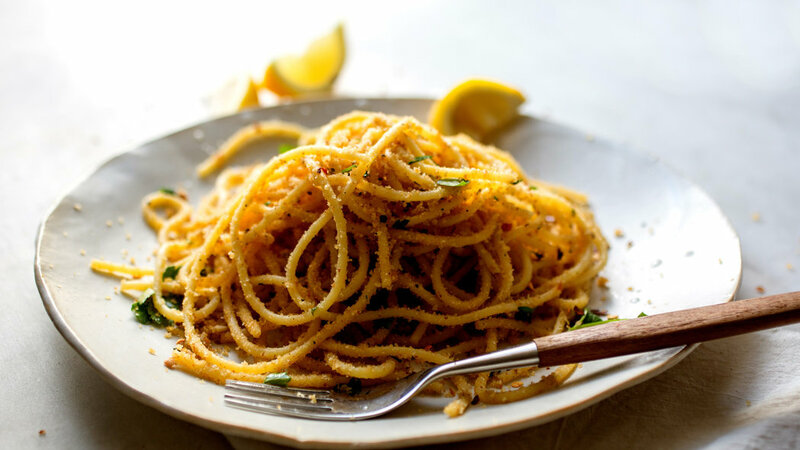 Recipe: pasta with garlicky bread crumbs and anchovies. Garlic? Anchovies? Egg yolks? Red pepper? Hot sauce? Fish sauce??? I will be making this recipe by Melissa Clark.